The C.C.C. has reviewed the eligibility criteria for the 2018, with a view to clubs having viable numbers to field teams in the competition. The proposed format is for one year only and will be reviewed by the C.C.C. and the East Kerry Board at the end of the competition. The first-round losers will continue in a separate competition and compete for the Bill Tangney Cup. The following players are not eligible to play with a B team in the East Kerry Junior Championship (OSullivan Cup). (1) A player who starts on the first 15 of a clubs first Championship game in the Senior Club Championship in the current year. (2) A player who is a member of the Kerry Inter-county panel at Senior, Junior or U-20 level in the current year. (3) A Player who started on the 1st Fifteen of any game in last years Senior County Championship. (1) 10 of the players who started on the first 15 of the clubs first Championship game in the Intermediate championship in the current year. The clubs must list the first fifteen of their first County Intermediate club game 2018 and nominate the 5 players from that first 15. Both the 1st fifteen and the 5 players must be returned to the Runa in advance of the competition (OSullivan Cup). Championship game in the County Junior Premier or County Championship in the current year. The clubs must list the first fifteen of their first County Junior Premier or Junior Club Championship game 2018 and nominate the 8 players from that first 15. 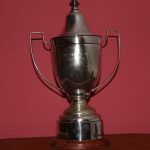 Both the 1st fifteen and the 8 players must be returned to the Runa in advance of the competition (OSullivan Cup).